100% cotton, High quality patchwork, quilting fabric. A lovely bright fabric. 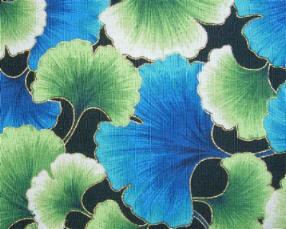 Aqua blue, tone on tone with a toss of little lime green leaves. Yellow lions, purple elephants, zebras, pink hippos, giraffs. aligators, parrots scattered over the fabric. Fat quarter measures approximately 53cm (21") x 50cm (19.5"). 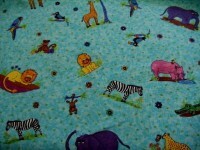 Also available by the metre in the Animal Fabric Section. The Whimsical Workshop & Heidi Pridemore for Blank Quilting.